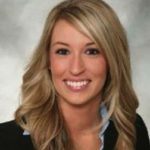 In an effort to finally solve the 2011 murder of a young Realtor, Iowa police have launched a website in which the public can submit tips about the crime. Back in 2011, 27-year-old Ashley Okland died after getting shot twice while showing a model home in West Des Moines. While all open houses in the area were suspended temporarily, neither police nor investigators were able to find the killer. This week, the West Des Moines Police Department launched a website, Answers For Ashley, in which the public can submit anonymous tips about the case. While not all pages on the site are yet live, it allows anyone who knows anything to send information about the killing. “It’s like a puzzle that you’re trying to put together and you’re wanting to find those last few pieces to complete it,” West Des Moines Police Department’s Lieutenant Anthony Giampolo told local news station KCCI. He also added that the Iowa police still regularly gets tips about the murder. The website is meant to work as a resource to gather any possible information about the crime. While Okland’s case was featured in the news for weeks after her death, none of the tips or interviews led to an arrest. Over the past few years, agent safety has become a major topic of discussion in the industry — earlier this week, a man shot a stun gun at and tried to sexually assault an agent after entering her open house. In December, 54-year-old Orlando Martinez was found dead in a car outside a home he was showing. As real estate work involves a certain degree of risk due to its visibility, associations such as the National Association of Realtors recommend not showing houses after dark, meeting clients in an office prior to showing a home and letting a friend or colleague know when you’re going to a job alone. Article image credited to Photo Credit: Kaitlyn Baker/Unsplash.